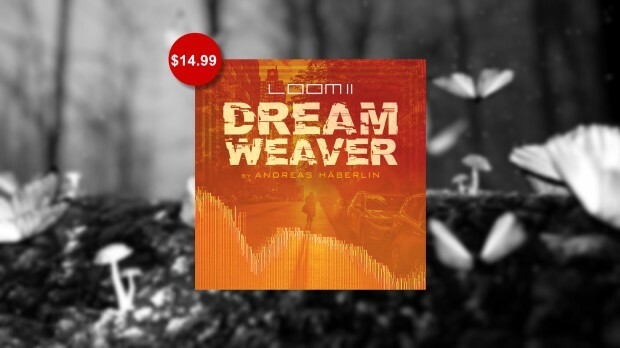 AIR Music release Dream Weaver preset expansion pack for Loom 2. Only $14.99! Includes 100 patches of atmospheric, altered soundscapes, ambient environments and more, produced by Andreas Haberlin. This entry was posted in DontCrack, Sounds and tagged Air, AIR Music, Ambient, Atmospheric, Dream Weaver, LOOM 2, Presets, Soundscapes. Bookmark the permalink.